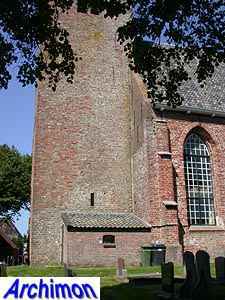 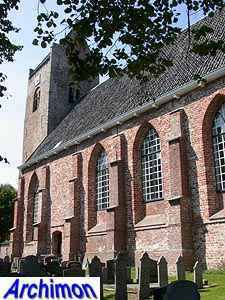 Blije, or Blija as it's called in Dutch, is known to have had a church ever since the early 13th century, which in catholic times was dedicated to St. Nicolaas. 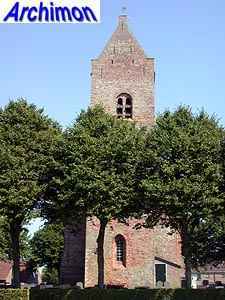 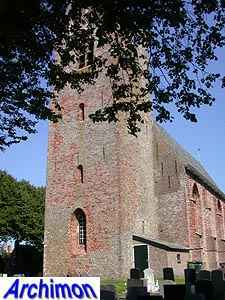 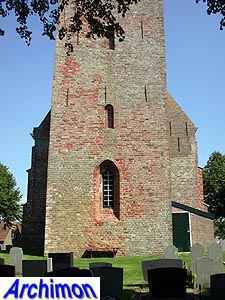 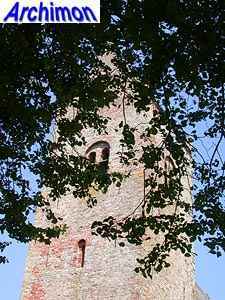 Of the original Romanesque church built in that century only the tower remains. 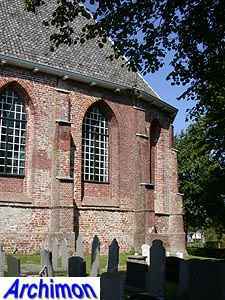 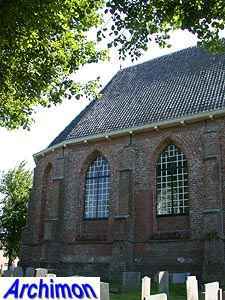 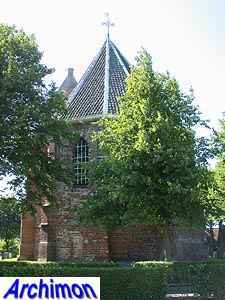 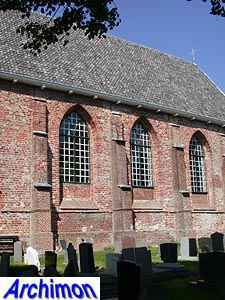 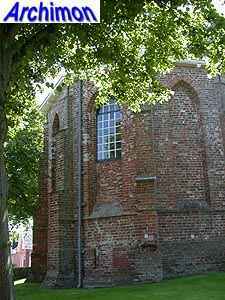 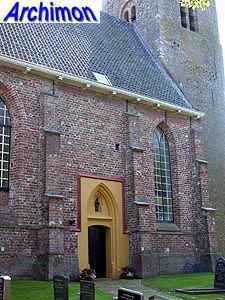 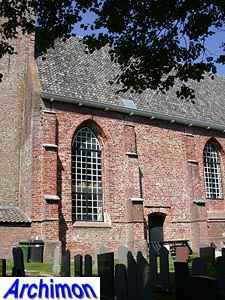 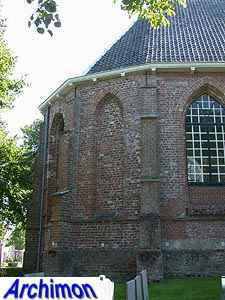 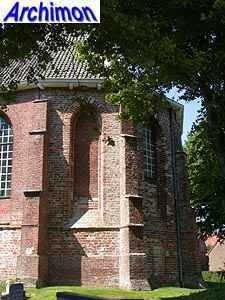 The church itself was replaced by the current Gothic one in the 16th century. 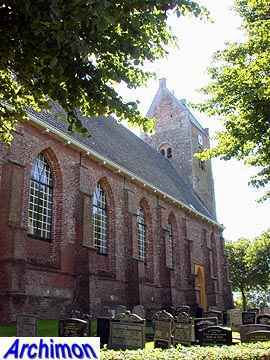 It's a rather big church for such a small village, a reminder of the time when Blije was a place of larger regional importance. 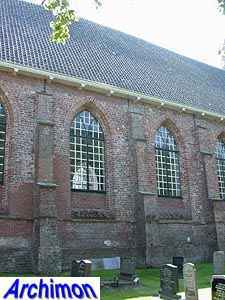 Various sources state that the church was built in c. 1540, but it is unknown what part of the church this date refers to; not only is there a small gap between the nave and the choir, the windows of the choir are narrower as well, giving reason to believe the choir was built first, perhaps when the old and shorter church was still standing. 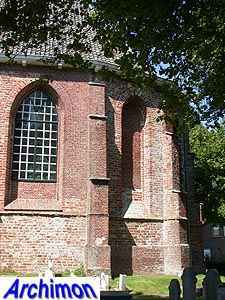 Probably in 1737 the roof of the nave was heightened with 3.50 metres, The tower was heightened shortly after, in c. 1741.